Nomu is an exclusive 50-unit freehold development situated along Handy Road, off Orchard Road and right at the door-step of Dhoby Ghaut MRT Station and Plaza Singapura. Apartments in the Nomu are designed for the busy single professionals who appreciate the convenience of living in the city. Nomu has recreational facilities such as a lap pool and a gymnasium. Being situated right in the Orchard shopping hub, many amenities are within close proximity to the Nomu. Supermarket, fashion boutiques, cafes, banks, clinics, salons and other essentials are just around the corner. Schools including the Singapore Management University, School of the Arts & LASELLE-SIA college of the Arts are located nearby too. Nomu is a stone’s throw from the Dhoby Ghaut MRT Station and is easily accessible via the nearby East Coast Parkway (ECP). Driving or taking a short bus-ride to the Central Business District (CBD) is a breeze. within 1 min walk to Dhoby Ghaut MRT Exchange and malls. Low density of 50 units only. Project has 4 levels of above ground carparks - plot ratio for living not fully utilised since they can be used for living spaces. 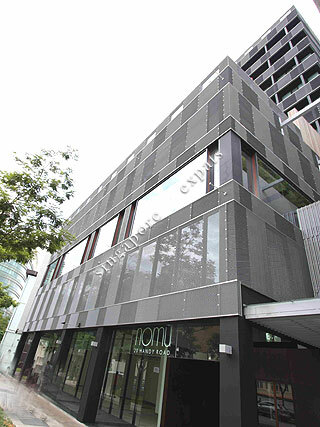 the reserved land beside NOMU is currently activated by a developer for bidding. Tender will close in Feb 2018. Expect very aggressive bidding as shown by Suites at Orchard and Mt Sophia plots. As such, the launch price of the new project will be much higher than current nearby 99 years projects. NOMU is the only freehold land along Handy Road, Cathay is a serviced apartment although it is freehold. I predict the price to hit very high upon completion of the new project. Because showflat buyers looking at the new project will be looking at NOMU as well. Apartments like this in major cities in Hong Kong or New York are worth over $2.5 million. Owners here are ill informed, all selling at bargain prices now. Cockroach infested. Roach problem from beginning of our tenancy. Seems not just our unit as asked a few tenants on the floor I ran into and same problem. Waking up in the morning to check roach of the day has become a routine. Not to mention waking up in the middle of the night and glaring at the bathroom floor in the dark not to step on a new one of the night. luxury and modern living .